Posted on 16. Jan, 2013 by Corey in All, General Baseball. It is not often that it is acceptable to stare at an “oversized head compared to its body size.” But when the subject in question is a bobblehead doll, it is perfectly normal. 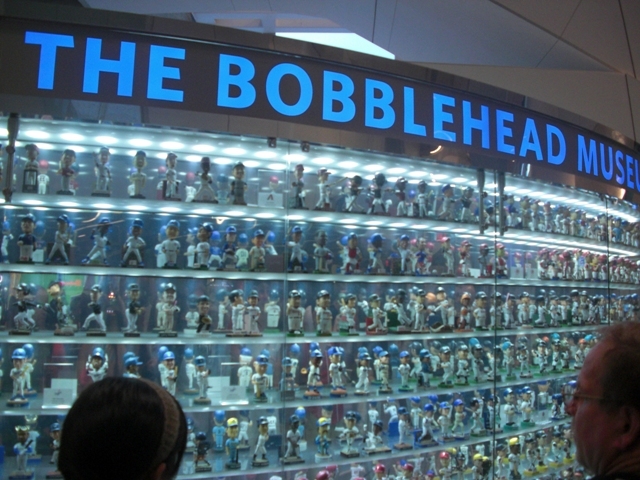 The modern bobblehead, also known as wobbler, nodder or bobbing head doll, first appeared in the 1950’s. The oversized head is usually connected to its body by a metal spring or hook, causing it to move or “bobble” with a slight touch or tap. On May 9, 1999 the San Francisco Giants decided to give a Willie Mays bobblehead to the first 35,000 fans that entered the gates. 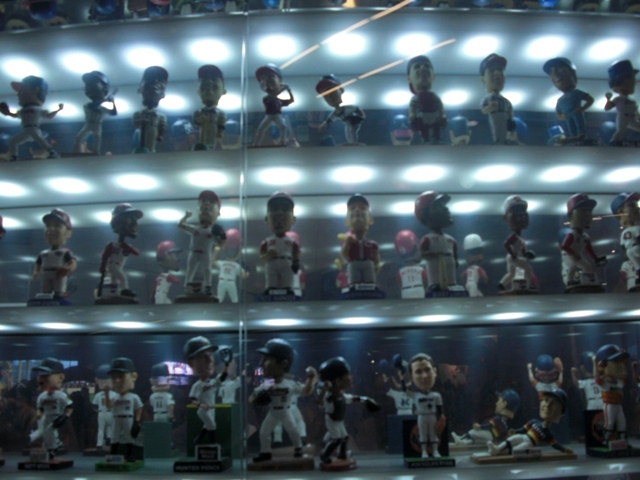 This event would help re-shape and re-invent the bobblehead industry, as they begun to appear again everywhere. Major and Minor League Baseball teams started to give out numerous variations of the doll, creating a new craze for the item. Shortly after this date in 1999, is where I fell in love with the bobbing head doll. I began to hunt day and night for them on Ebay, and ended up purchasing a few…Ok, ok, quite a few! I became friends with my mailman, as he delivered package after package to my apartment with these rare and unique treasures. Luckily for my pocket book, I decided to focus mainly on the stadium giveaway (SGA) dolls. 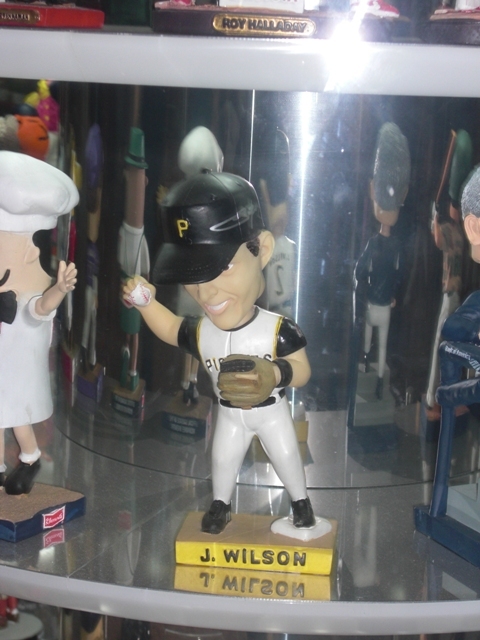 This meant any normal bobblehead that you could purchase in a store was off my radar. Quickly the shelves in my apartment filled as I had to purchase more to hold my rapidly growing collection. When friends and coworkers caught wind of my new collection, new pieces showed up courtesy on them. 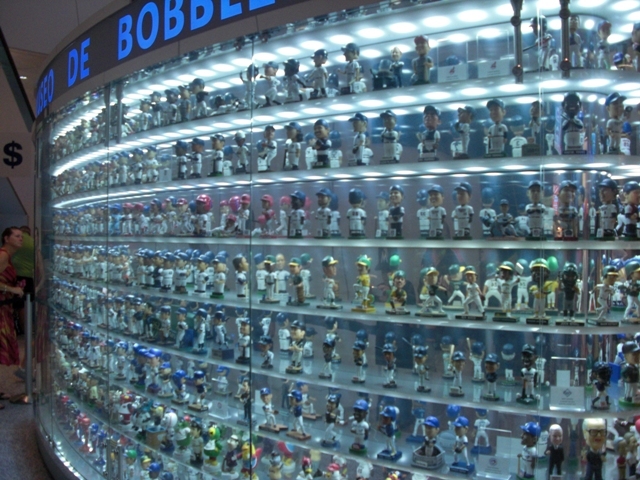 Some 13 years later, bobbleheads are still running strong as teams throughout the country are still giving them away to fans that enter the gates. I am happy and proud to report that I have stopped buying these collectibles as I ran out of room and money to keep up. A few months ago I had the privilege to visit Marlins Park in Miami, Florida. The main goal was to keep my streak intact of seeing every current Major League Baseball stadium. 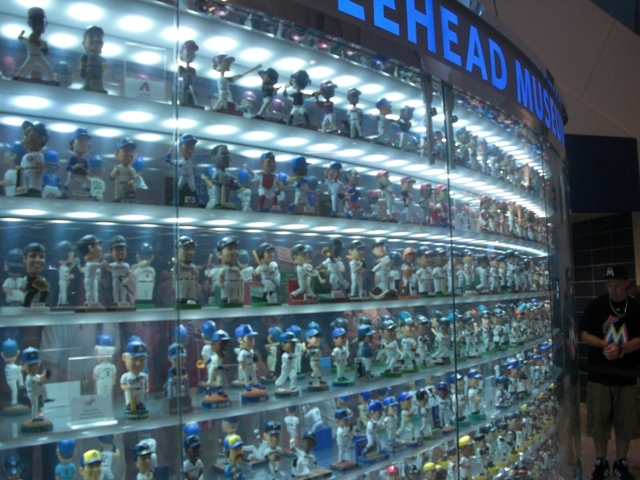 Although I was not crazy about the stadium as a whole (that is a blog for another day), I did love the Bobblehead Museum that they proudly display on the concourse. 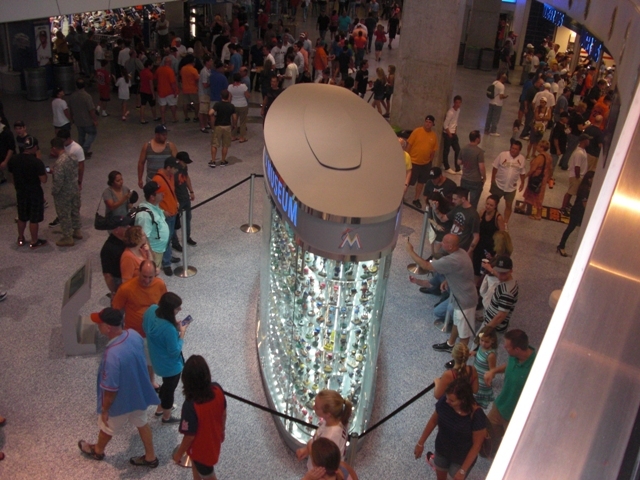 The oval shape glass structure is located on the main concourse level between first base and home plate. 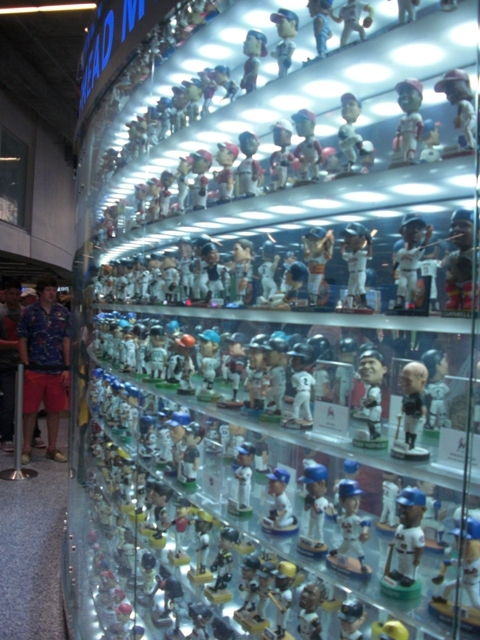 The display case allows fans to walk around 360 degrees to view the 609 bobbleheads that are displayed at one time. The case is organized with American League on one side and National League on the other. 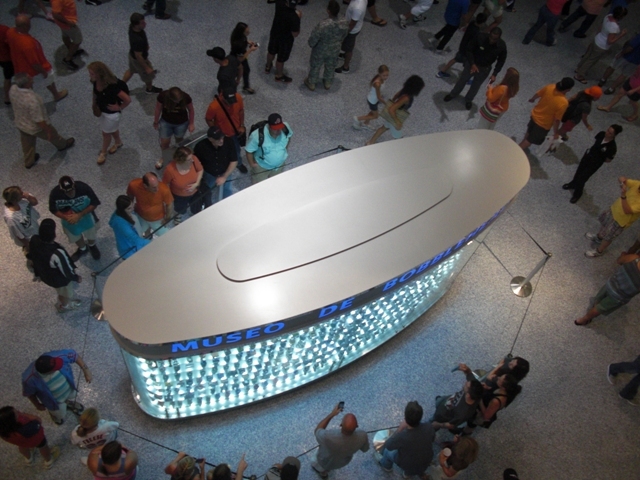 Lighting is placed throughout to allow fans to see each one clearly. But the coolest feature is that each shelf has its own vibrating mechanism so the heads are constantly moving and bobbing. Another great feature is that there is a touch screen, where you can type in a player name to see if it is in the case and where it is located. 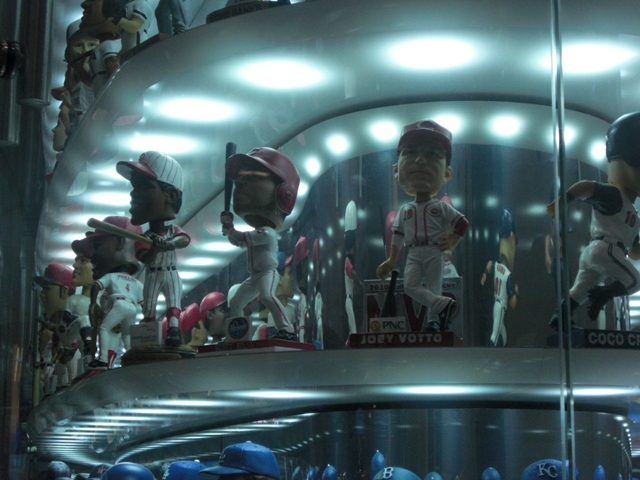 Most of the bobble heads appeared to be SGA’s from Major League Teams, but there are some minor league ones located throughout the case. 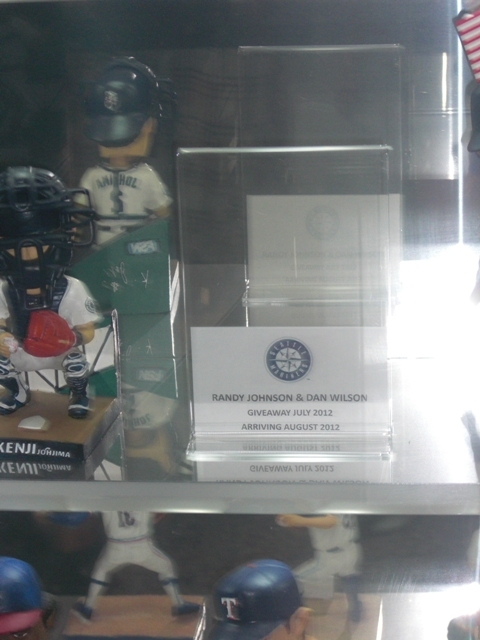 Plastic signs also marked a few bobbleheads that were promised to the collection, but had not arrived yet. I spent much time walking around this awesome structure admiring which ones I had, and trying to stump the case on some that I owned that were not in the collection. 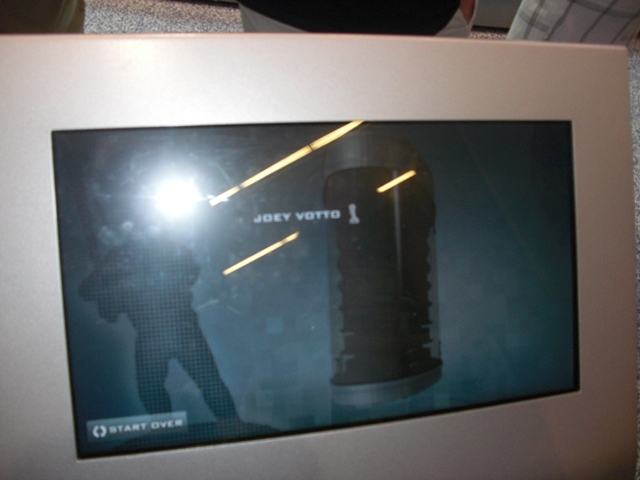 Number for number, I may be able to compete with the Marlins collection, but there display case is next to perfection. 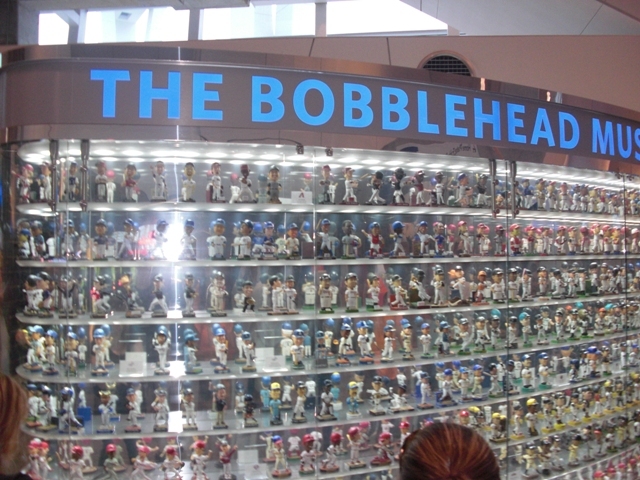 I have included below a few pictures that I took of the bobblehead museum and a few close up pictures of some of my favorites or ones that I also have.